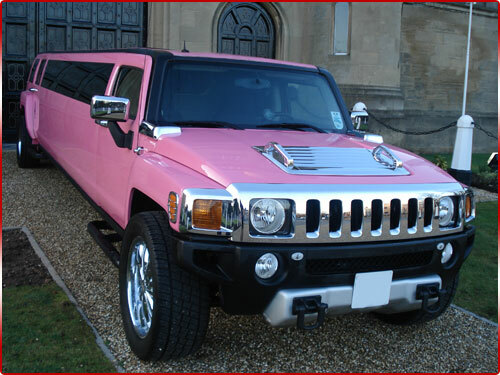 Welcome to Pink Hummer Limousine, do you fancy a bit of indulgent and some girlie time? 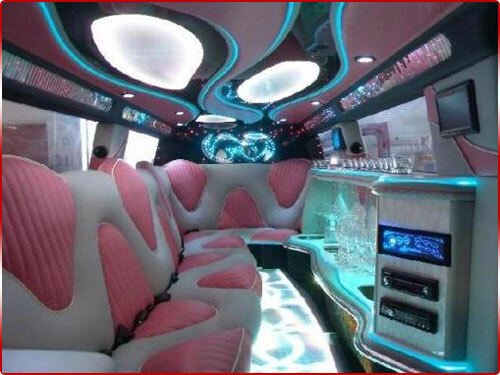 Then hire our modern yet sophisticated Pink Hummer. This stylish chic and beautiful Hummer provides a range of fun for any occasion. It is a super girlie vehicle which is oozing with girl power. Inside it is stylish, comfortable, and spacious, there is plenty of room for you and your guests to stretch out and relax on the luxurious pink leather seats, whilst enjoying a glass of champagne or soft drinks if you prefer. It helps woman escape and discover a world of pink. At Pink Hummer Limousine we are fully aware how much girls just love to have fun and how you girlies enjoy spending quality time together. What better way do it than in a Pink Hummer limousine? This vehicle provides great transport for retail therapy, hen events, spa days, ladies who lunch, birthday celebrations or just for a girlie night on the town. It has the capacity to cater for up to twelve passengers. Our professional chauffeurs are very courteous and always uniformed and highly trained and will ensure your travelling experience will be very safe and enjoyable. They provide a professional and discrete service, aiming to cater and meet individual needs for a variety of different occasions. Priding themselves on making each journey a special and relaxing occasion. Imagine enjoying a glass of champagne and listening to your favourite music en route to your choice of destination whilst catching up on all the gossip with your friends. It will certainly give you and your guests the feel good factor having spent quality fun and enjoyable time together. Whatever reason for some quality girlie time, we are confident that the fun will begin as soon as you step inside the Pink Hummer Limousine. The journey to your destination will allow you and your girlfriend’s time to enjoy your limo and use its chic treats such as the DVD player, CD player, Disco lighting system, flat screen television. You could bring along one your favourite chick flicks and used the DVD player on your journey home. You will love this fun, quirky vehicle and it is just full of glamorous style. So hurry and indulge yourself and hire a Pink Hummer Limousine.